Local wine products, the share of which is growing in non-oil exports of Azerbaijan strive for new markets. Sharg Ulduzu OJSC, Azerbaijan’s wine-making plant located in Shamkir district, is preparing to export its products to new foreign markets, head of the company Asgar Alirzayev told Trend. 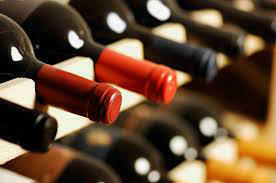 He said that this year the company plans to establish wine exports to India and Vietnam. "There are traditional markets in our reserve, such as Russia and China, where our alcohol products are in great demand," he noted. "We are trying to increase exports to these countries. Earlier we planned to start exports to Mongolia this year, but due to a number of reasons this question remains open. There is an interest in Azerbaijani alcoholic drinks in the Mongolian market, but there are also certain problems with logistics. We are looking for optimal variants for entering the Mongolian market, and we believe that in the mid-term we will be able to export our products to that country as well." The company uses the latest technology. Modern German and Italian equipment is installed at the plant. Another Azerbaijani wine-making company Aspi Agro LLC, operating in the country's Gabala district, plans to export "Savalan" wines to Turkey. "We plan to export "Savalan" wines to the new market. This brand is very popular in Azerbaijan, and is in great demand. Today we export alcoholic products to the Russian market, and in the future we are going to increase the volumes of these supplies," the company said. The company operates modern equipment made in Italy. It is also expected that Azerbaijani wine producer "Goygol Wine Plant" OJSC will start its exports to Europe this year. Winery occupies one of the most important areas in the food industry of Azerbaijan. Azerbaijan is famous for its high quality grape varieties. Five major wine-growing regions of the country are Shamakhi, Ismayilli, Gabala, Ganja, Tovuz. Local grape varieties in Azerbaijan include White Shani, Derbendi, Nail, Bayanshire, Gamashara, Ganja Pink, Bendi, Madrasa, Black Shani, Zeynabi, Misgali, Khindogni, Agdam Kechiemdzheyi, Tebrizi, and Marandi. The share of Azerbaijan in the wine production in the former Soviet Union has always been high. Nevertheless, the Alcoholism and Anti-Drinking Initiative of the former Soviet Union in 1985 caused the destruction of the vineyards of more than 130,000 hectares in Azerbaijan. One of the first steps towards the restoration of vineyard and winemaking in the country was the Law on Winemaking, adopted in 2001. In order to ensure sustainable development of winemaking in the country, increasing interest in wine production and exports, the State Program on the development of wine growing in the Republic of Azerbaijan in 2018-2025 has been approved in May this year, which will lead to development of wine tourism and increase the amount of loans allocated to the wine industry in Azerbaijan. According to the State Program, the export of wine from Azerbaijan should increase five-fold by 2025. Azerbaijan Wine Manufacturers and Exporters Association was established to coordinate activities between producers and exporters of wine and winery products with the support of the Export and Investment Promotion Foundation of Azerbaijan (AZPROMO) in 2016. Most of producers target Russian and European markets as well as new growing markets for Azerbaijani wine such as China. Azerbaijani Wine Houses are opened in foreign countries to promote national brands and exports of local products. The first wine house of Azerbaijan was opened in China this year. Production of wine and wine-making products in Azerbaijan exceeded 1 million decalitres in 2017, of which 375,000 decalitres were exported. Thus, wine products from the country were mainly sent to Russia (338,000 decals) and China (27,000 decals).